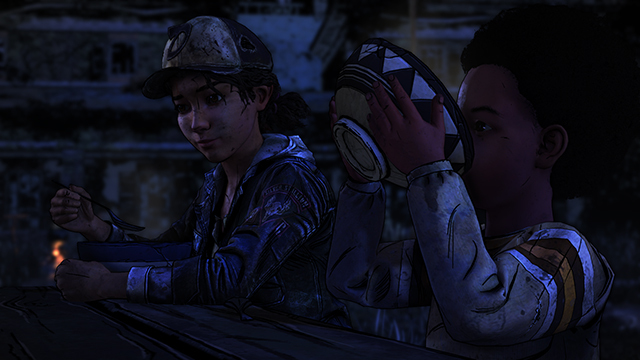 We’ve known that The Walking Dead The Final Season was going to continue but we didn’t know exactly when. But now we do. The Walking Dead The Final Season Episode 3 release date is January 15, 2019. But this date is only for the Xbox One, PS4, and Nintendo Switch versions. Like the “Spider-Man” costume in Guacamelee 2, this release date was revealed at the Kinda Funny Games Showcase. Kinda Funny threw this show in the void after The Game Awards since Sony decided not to have a PSX this year. The episode is still titled “Broken Toys” but it is coming a lot later than was previously promised before Telltale imploded back in September. Before the implosion, Broken Toys was originally slated to come out November 6 and the final episode was supposed to come out on December 18. However, this is one omission from the trailer: the PC version. The trailer shows PS4, Xbox One, and Nintendo Switch version but there is no Steam logo. A bunch of Telltale’s games have been taken off the storefront and while you can visit The Walking Dead The Final Season‘s store page on Steam, you still can’t buy the game. Only the demo is available on the page. It is unclear when this update was posted or if the situation has been updated. But it sounds like, judging by the new teaser trailer’s description, that Skybound is currently looking into it.